The facility opened in September 2013. Already the space has supported the start-up phase of 59 food businesses including 24 pop-up restaurants, 1 café business, 27 food production businesses and 7 cookery tuition businesses. In addition it’s supported 6 organisations to film TV food shows at the space. Food businesses are a popular choice for aspiring entrepreneurs but are often a high-risk enterprise, frequently requiring substantial start-up capital. Compared to other sectors, there is relatively little sector-focused business support on offer to aspiring food entrepreneurs. And there is a shortage of affordable food production facilities in central London. London’s food economy is finding new ways to innovate, and Maida Hill Place is part of this movement. Maida Hill Place significantly lowers the risk for food industry start-ups by reducing costs, providing test trading opportunities and connecting like-minded people. It provides access to commercial kitchen facilities, pop-up restaurant and events space, as well as business support services for its members, on flexible, pay-as-you-go terms. We’re supporting the creation and early stage growth of Maida Hill Place through business planning and strategy support, commercial finance, company and team formation. We’re also developing plans for a food enterprise support initiative for local residents from low-income backgrounds. Based in a previously derelict building, Maida Hill Place is bringing increased vibrancy to the local high street of Harrow Road where it is based. 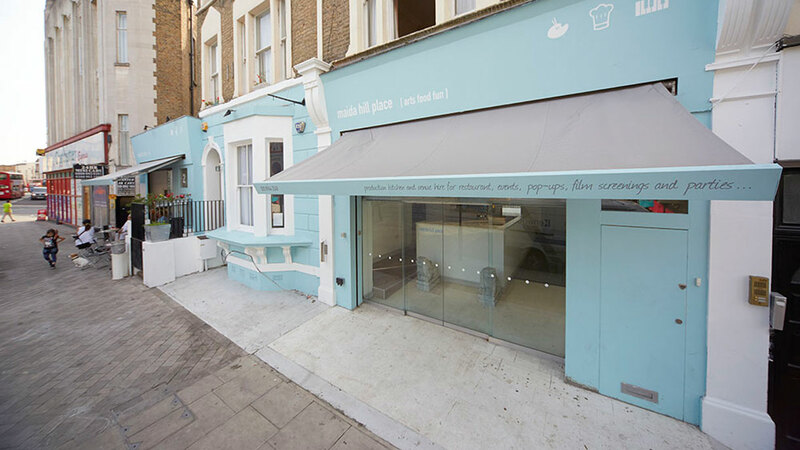 The Maida Hill Place concept was inspired by similar social enterprises based in the United States (such as La Cocina, San Francisco) and our work with Hub Westminster.